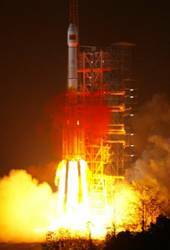 [Updated February 5, 2016] China successfully completed its first BeiDou launch of the year, lifting a new-generation satellite into orbit yesterday (February 1, 2016) and adding to its 17 operational spacecraft in the nation’s GNSS constellation. The fifth of the new series, the middle-Earth-orbiting (MEO) satellite will join its four predecessors in testing inter-satellite crosslinks and a new navigation payload that will set the framework and technical standards for global coverage, according to the Xinhua state news agency. By the end of 2018, another 18 satellites will be put into orbit for Beidou’s navigation service, said Chengqi Ran, director of the China Satellite Navigation Office. China plans to launch a total of 40 Beidou navigation satellites by 2020 to complete its GNSS constellation, Ran told the state news agency Xinhua. Designated BDS M3-S, this is the first of two BeiDou satellites scheduled for launch in 2016, according to China Aerospace Science and Technology Corporation. The spacecraft contains a technology demonstator —identified as a “chip” by program officials — that will, if proved successful, help in the design of smaller, better integrated, more reliable satellites, BeiDou deputy commander-in-chief Li Guotong said. It also contains a particle detector to assess radiation conditions in the BeiDou constellation’s environment. According to Libin Xiang, commander-in-chief of the BeiDou Navigation Satellite System (BDS) project, the latest satellite is crucial to implementing a transition from the regional system declared operational in December 2011 and a full-fledged system expected to be completed by 2020. “Our new intersatellite crosslink system, featuring strong disturbance resistance and high-level privacy, is the core technology to compete with other countries’ navigation networks. 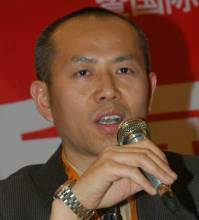 The new satellite will fully verify our technology,” said Baojun Lin, the satellite’s chief designer. Lin said the satellite will operate without the help of ground control and broadcast continually, key requirements for navigation services. According to Xinhua, China plans to expand the Beidou services to most of the countries covered in the Silk Road Economic Belt (also knowns as the “Belt and Road”) initiative by 2018, a swatch of countries stretching through Central Asia, West Asia, the Middle East, and Europe. The Beidou Phase III system of which BDS M3-S will be a part will migrate its civil B1 signal from 1561.098 MHz to a frequency centered at 1575.42 MHz – the same as the GPS L1 and Galileo E1 civil signals. The former quadrature phase shift keying (QPSK) modulation will be a time-multiplexed binary offset carrier (TMBOC) modulation similar to the new civil GPS L1C and Galileo’s Open Service signal. Meanwhile, a United Launch Alliance Atlas V 401 will place the final GPS follow-on block satellite (IIF-12) into orbit for the U.S. Air Force on Friday (February 5, 2016) from Cape Canaveral Air Force Station, Florida. A 19-minute launch window opens at 8:38 a.m. EST. On Sunday (February 7, 2016), Russia is scheduled to launch another GLONASS-M satellite from the Plesetsk Cosmodrome north of Moscow.